The response to our gold upholstered chairs has been, well, overwhelming. I have been steadily adding to our collection of gilded beauties since unveiling them at the bridal show last month. 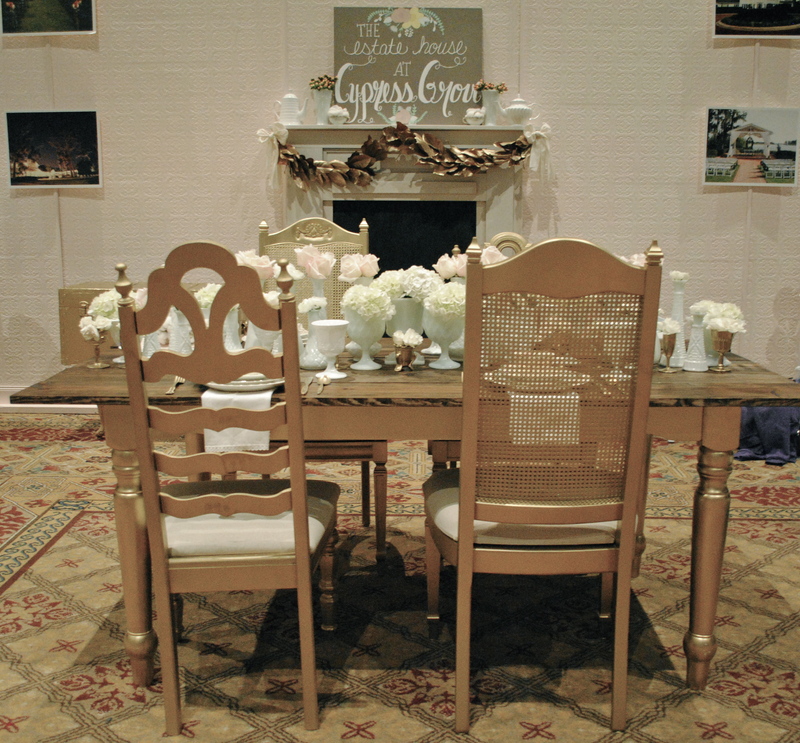 As I prepared to design Cypress Grove’s booth for the Perfect Wedding Guide’s booth this past weekend, I decided that the only thing that could make our gold chairs even more awesome was a coordinating reclaimed board plank top table. I decided to put a gilded twist on this piece. Rather than staining the base of the table in a rich dark shade of rustic, I opted for gold spindle-legged perfection. Brides often ask me how to marry certain elements; how rustic collides with elegance in a cohesive and aesthetically pleasing ceremony. Well, in short, this is how. The shimmer of the gold base combined with the warmth of the planks topped by antique china, milk glass and florals steeped in simplicity are the definition of vintage rustic elegance. 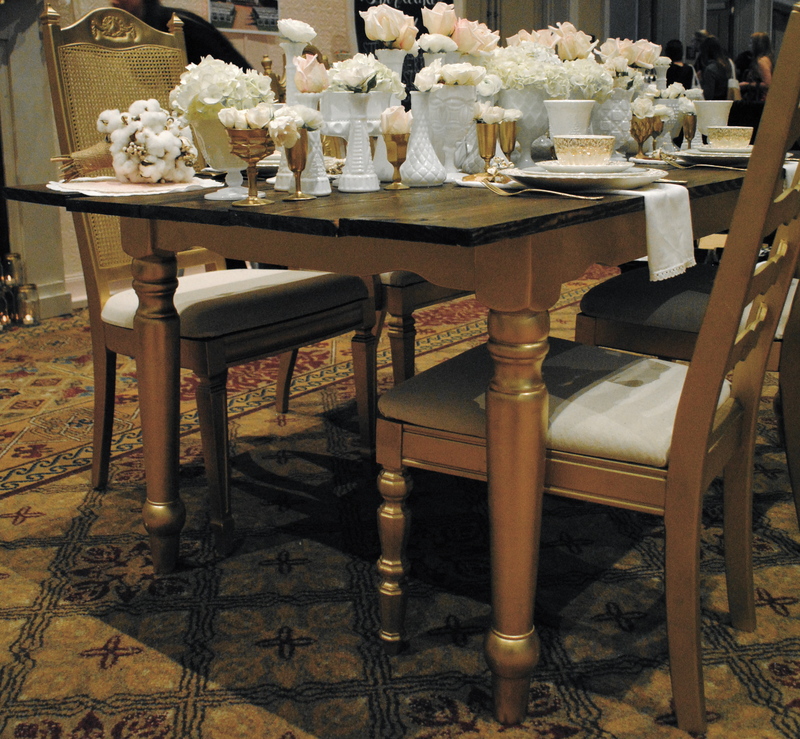 If you are eager for more images of our table and chairs combo, fret not! 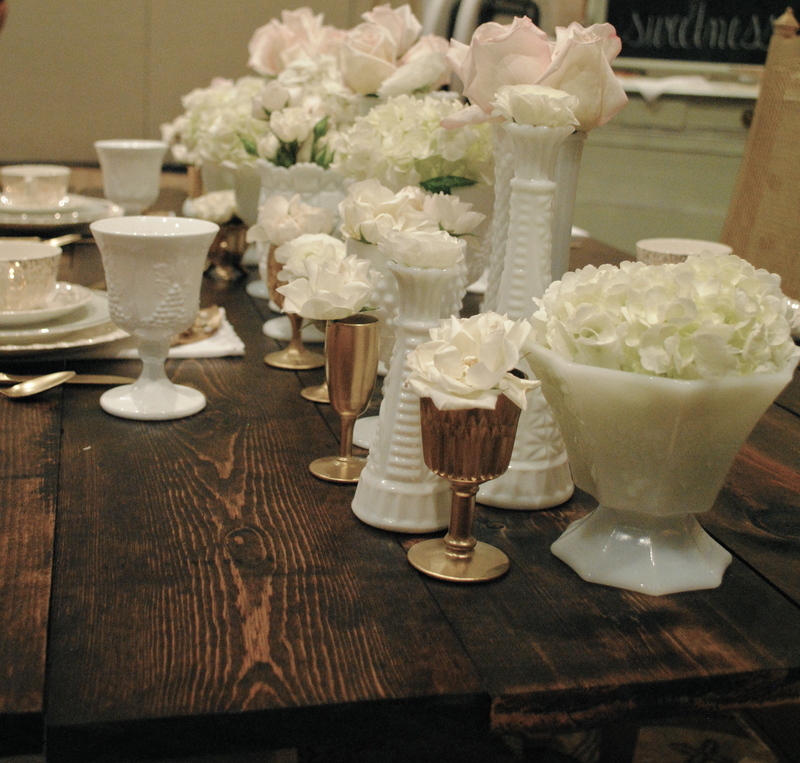 They – along with a gathering of other awesome pieces in our inventory – will be featured in a styled shoot next week. I am delighted with our brand new addition and excited about all of the other pieces that we will be adding soon. Around here, there is certainly no shortage of creativity, paint or wood stain.